Cash Shop is proud to announce it has taken top honours at the National Pawnbrokers Association 2018 Annual Awards. 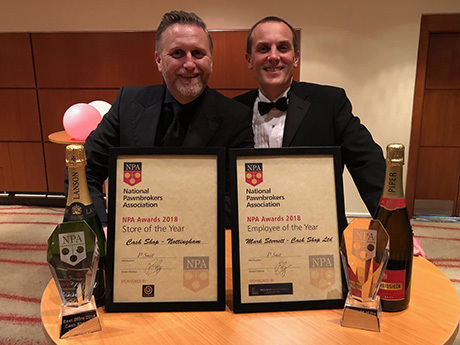 Our Nottingham City Centre branch has taken the Best Store of the Year award, and our Area Manager - Mark Sterrett - has won the Employee of the Year award. Considering there are approximately 1058 pawnbroking stores, with over 5700 employees in the UK, this is a fantastic achievement! 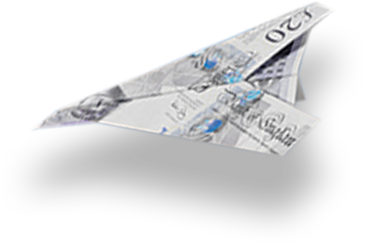 At Cash Shop, we understand the need for access to short-term funds, and our pawnbroking service is quicker and easier than applying for unsecured loans at the bank. Our customer service representatives are trained to effectively value your items of jewellery and strive to offer you a loan amount that not only suits your needs, but ensures you’ll be able to redeem your valuables by the end of the loan term. To make your loan even more affordable, you can pay back some (or all) of your loan at any time during the 6-month term, thus decreasing the amount of interest you’ll pay. Please note our loan values are based on current precious metal prices, as opposed to the retail value of your items. Our pawnbroking loan calculator will tell you how much it would cost to redeem your item. Simply move the sliders for a loan value and a term length, and the calculator will not only tell you how much it will cost to redeem your item, but also how much you’ll save by using Cash Shop, instead of the competition. Of course, we won’t know how much we can lend you until we see your items, but if you have an idea of how much you need to borrow, you’ll know how much it will cost to redeem your goods. Please note that the calculator is for illustrative purposes only, and there may be a slight difference between the online calculator and your loan contract. A Secure, Discreet and Affordable Service. At Cash Shop you can borrow against your valuables for as little as a day, or as long as 6 months. Your items are locked away securely in our vault, and are presented back to you in the exact condition they were left with us. If you would like to learn more about our Pawnbroking service, please watch our video.